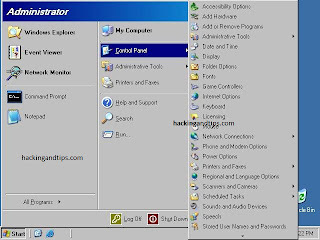 In Control Panel, double-click Add/Remove Programs, and then click Add/Remove Windows Components. Under Components, select Internet Information Services (IIS), and then click Details. Under Subcomponents of Internet Information Services (IIS), verify that the SMTP Service check box is selected. If the check box is not selected, select it, click OK, and then complete the installation instructions. Expand the server that you want, and then expand the default SMTP virtual server. By default, the default SMTP virtual server has a local domain with the fully qualified domain name (FQDN) for the server. To create the inbound SMTP mail domain, right-click Domains, point to New, and then click Domain. In New SMTP Domain Wizard, click Remote as the domain type, and then click Next. In Name, type the domain name of your SMTP mail domain for your Exchange organization. In Internet Services Manager, right-click the SMTP mail domain, and then click Properties. Click Allow the Incoming mail to be Relayed to this Domain. Click Forward all e-mail to smart host, and then type the IP address in square brackets ([ ]) or the FQDN of the Exchange server that is responsible for receiving e-mail for the domain. For example, to enter an IP address, type [123.123.123.123]. In Internet Services Manager, right-click Default Virtual Server and click Properties. On the Access tab, click Relay. Click Only the list below, click Add, and then add the hosts that you want to use the SMTP server to send mail. Under Single computer, specify the IP address of the Exchange bridgehead server that you want to relay using this SMTP server. Click DNS Lookup to find the IP address of the specific server.